Selarang Camp Changi, Johore Bahru, Adam Park, Thompson Road (Caldecot Hill Estate Camp), Selarang Barracks Changi. Sandakan-Ranau track, 2nd Ranau march. 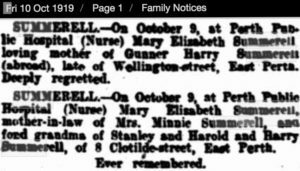 Harold (Snowy) was born to Henry ‘Harry’ William Summerell & Williamina Norris Summerell (nee Foster) on the 22/09/1914 in East Perth. His parents had married about 1913 in Perth. 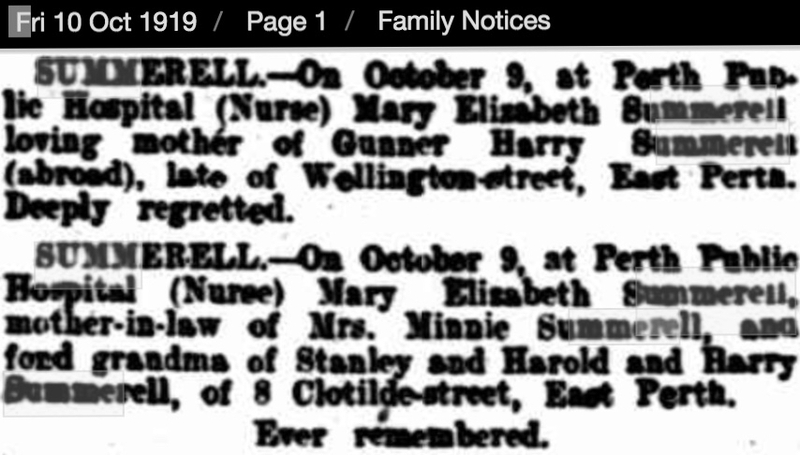 Harry Summerell enlisted WW1 and returned to WA 1919. 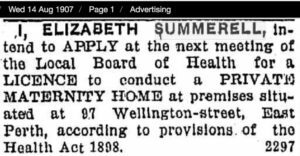 Snowy’s grandmother Nurse Summerell ran a Private Maternity Home in East Perth. 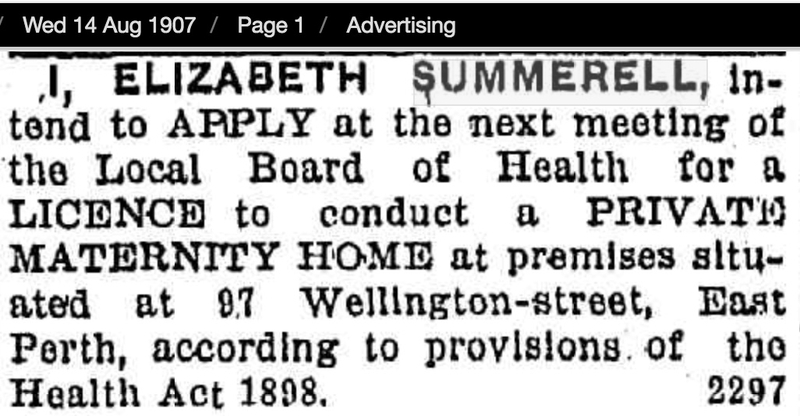 Elizabeth Mary Summerell was included in the First Register of Midwives in Western Australia which was printed in the Government Gazette 7 February 1913. ‘Snowy’ was the second of three sons and changed his name when his mother later re-married to William George Holland. There were further children from this marriage. Minnie who was born in Scotland, died in December 1961, Perth. 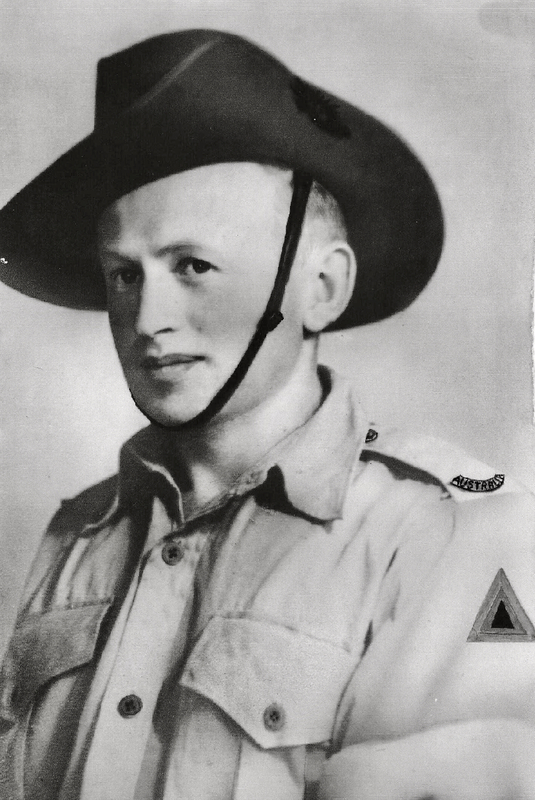 Private Holland, ‘Dutchy or Snowy’ was drafted to “E” Force which departed Singapore 28 March 1943 on SS ‘DeKlerk’ arriving 15 April 1943 at Berhala Island, adjacent to Sandakan Harbour. The 500 Australians and 500 British POWs who made up “E” Force remained there until 5th June and then were taken to Sandakan by barge. The following day they were transferred to 8 Mile Camp which was located about half a mile from “B” Force Camp. ‘Snowy’ was a man of strength who obviously strived to survive the most unimaginable day to day conditions and cruelty exacted by their Japanese. Taiwanese and Korean guards. He died 15 June 1945 – his Japanese captors recorded his death being due to malaria.